One of the most famous things to do on the Island of Oahu is to visit Pearl Harbor and the USS Arizona Memorial. It is a great place to visit for so many different reasons. Maybe you know someone who served or a family member who died there. 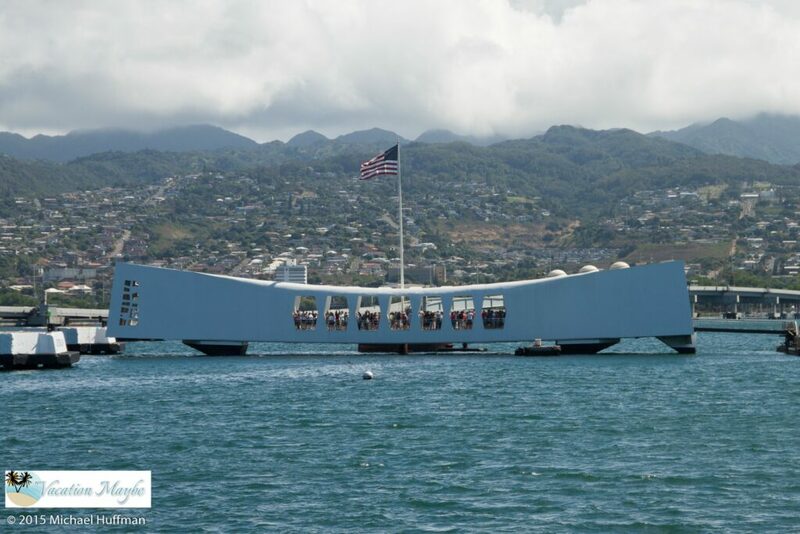 It could be possible you have no connection to the place at all except that you learned about it when you were in grade school and know it is where the United States’ journey to World War Two began. No matter what your desire is to visit, I highly recommend the trip. My dad told me when they went they arrived right when they opened (7:00 AM) and were able to get tickets and in and out quickly. This sounded like a great plan, but since we were on vacation we choose to sleep in. 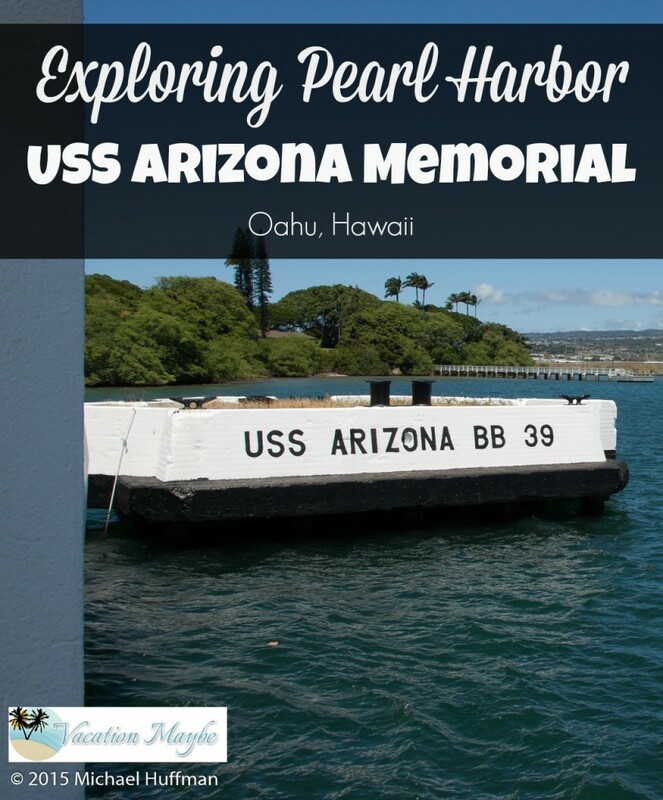 The people we were staying with recommended we check out the USS Missouri while we waited for our tour time for the USS Arizona Memorial to begin. We only had about 1.5 hours to wait so it was a tight fit, but made the time go by quickly. Whatever you decide to do make sure you arrive in the morning. Tickets are free, but limited to first come first serve and do sell out by the end of most days. 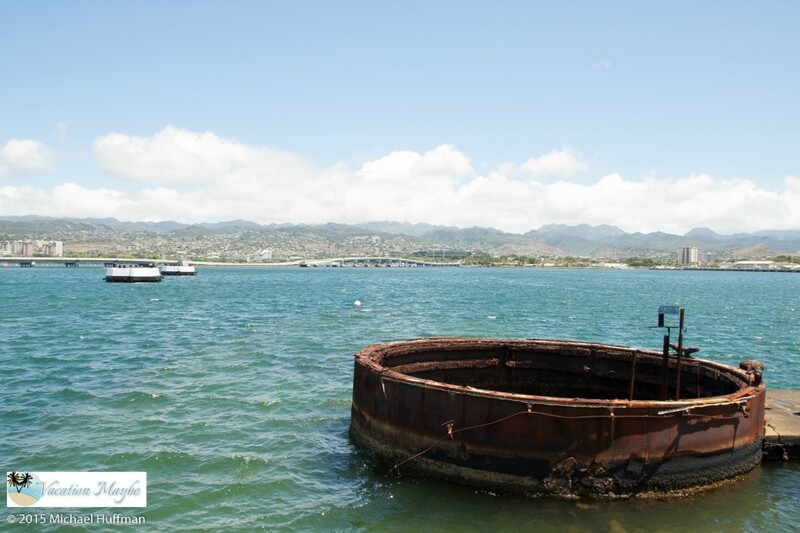 Depending on when you arrive and how long you have to wait you can go and explore the USS Bowfin Museum, grab a snack, walk around the different displays, climb aboard the USS Bowfin, and see the exhibit galleries located at the park. 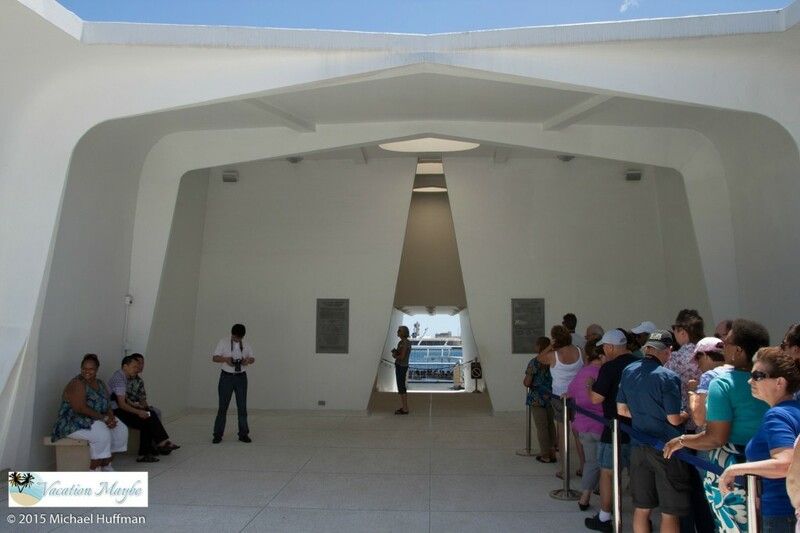 The tour to the USS Arizona Memorial is 75-minutes long and includes a 25-minute long documentary telling you about the history of the event and the memorial. There are strict security measures in place so make sure to check out their website for more details.